We now have a new range of semi-permanent ramps on our wheelchair ramps website. A totally new concept, the Permaramp Adjust range is designed to be easily adjusted and fixed down or left in place for all types of thresholds – Particularly useful for UPVC doors. 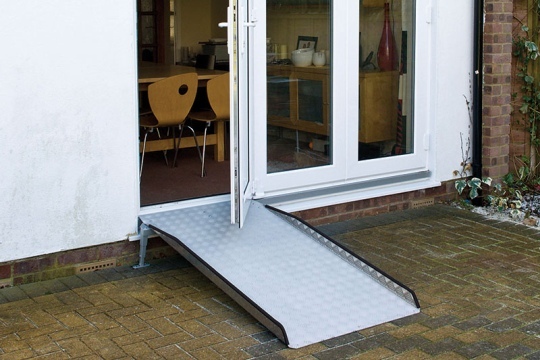 Unique ramp support system prevents damage to threshold, the ideal wheelchair ramp for UPVC door thresholds. The Welcome Modular Wheelchair Ramp System has been designed specifically for ease of installation. 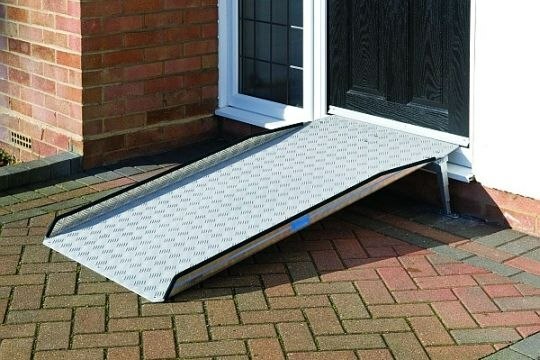 These ramps are similar to the modular ramp systems but are a little more basic, lighter, come in smaller sections and are designed to be handled and erected by a single person. Prices are considerably lower and delivery of standard component is usually within 7 days. 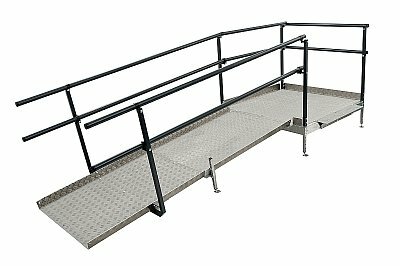 As with the modular ramp systems, adjustable height platforms are available as is single handrail or double handrail configurations. Please contact us for further information or watch this space as we will soon be constructing new pages on this website.